Bry-Air has always been in the forefront of technology and innovation through extensive R&D in moisture control, air treatment and optimisation of energy. Bry-Air’s efforts to introduce the best in class, energy smart technologies results in continuous R&D in designs, layouts, machinery and production methods which is integrated into the everyday work pattern. Research based development lends Bry-Air the leadership position it stands at today. 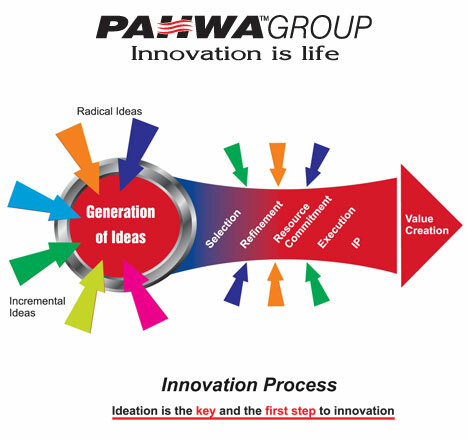 Bry-Air, along with its associate group company, DRI…Desiccant Rotors International, flagship companies of the Pahwa Group, is the fastest growing Adsorption Technology group in the world today. 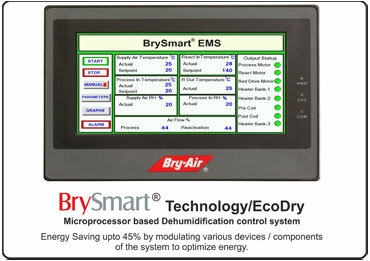 The new, Bry-Air BrySmart Series (BBS) Dehumidifiers is embedded with patented BrySmart® and BryTherm™ technologies. The latest product offering from Bry-Air is designed for continuously optimizing Dynamic Specific Performance (DSP) and incorporates BHPTM (Bry-Air High Performance) rotor with special geometry and chemistry. 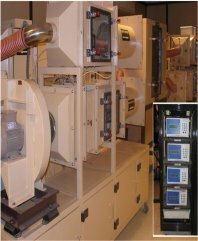 DryPurge desiccant dehumidifiers from Bry-Air is the most efficient and economical solution to provide dry air required for Lithium battery production. 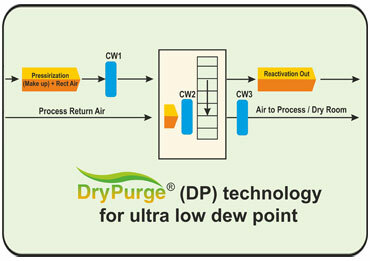 These engineered dehumidifiers incorporate the patented DryPurge® technology which ensure optimum performance of dehumidifiers, even at the ultra low dew point, up to (-) 90 ℃. Bry-Air’s Adsorption Chiller harnesses the abundant low grade waste heat or solar heat available in process industries and solar plants and uses it for process cooling or air-conditioning (HVAC). It is available in the range of 11 kW to 1180 kW (3.1 TR to 335 TR). The Industry 4.0 compliant generation next BryWheel rotor works on the principle of the Honeycomb technology which results in 25% more energy savings, 100% reliability and zero downtime. This ensures a much better control over dewpoint and temperature. This rotor is specially crafted for a very low dewpoint upto (-) 65°C. To evaluate and certify the performance of granular desiccant. To evaluate and certify the performance of desiccant (honeycomb) wheel rotor. 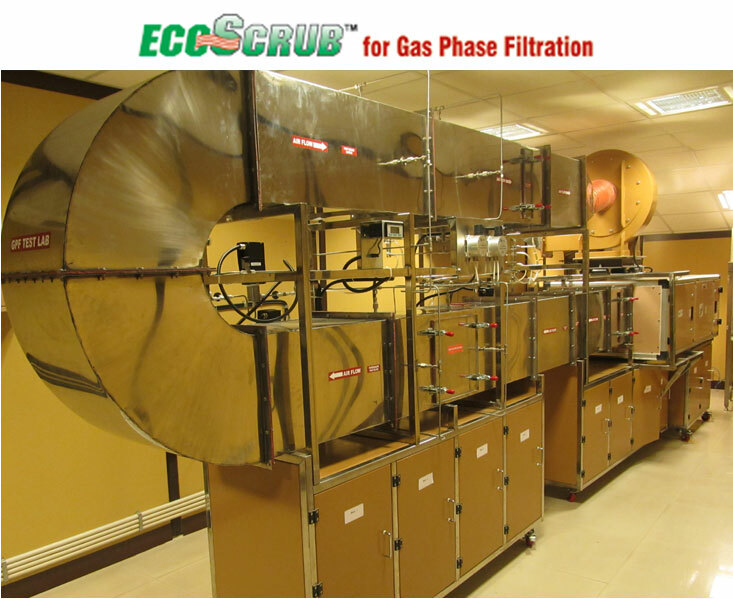 To simulate and establish conditions for product drying at pilot scale for eventual full scale up. 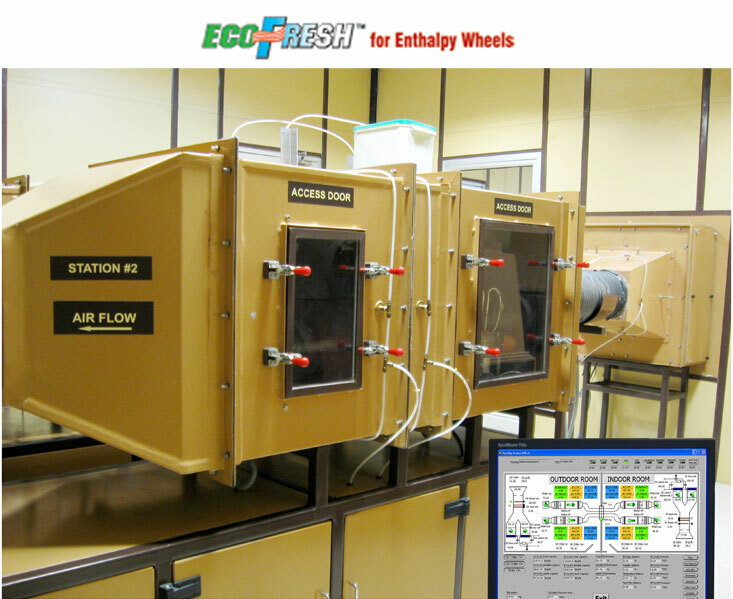 To simulate conditions based on different environmental parameters to validate criteria for drying or storage of any product; e.g. products like Mushroom, Grapes or Tea can be spoiled due to over drying. 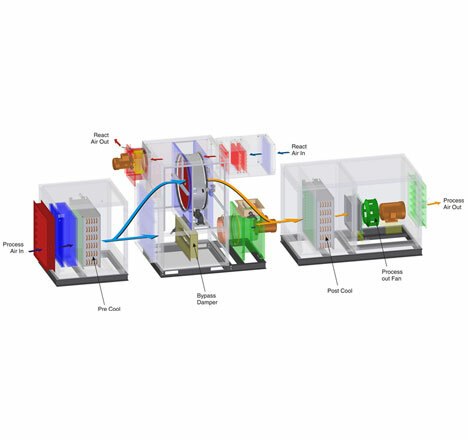 The optimum conditions for drying such products can be simulated and validated in the Bry-Air dry chamber. Prototype development and bench marketing facility. 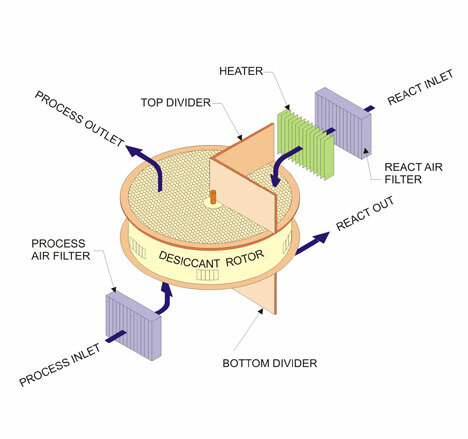 Bry-Air along with its associate group company, DRI ..... Desiccant Rotors International has spent over 600 “man-years” of research in the field of rotors, to create the ideal honeycomb / fluted media and has setup a test facility to evaluate performance of EcoDry Desiccant Rotors. 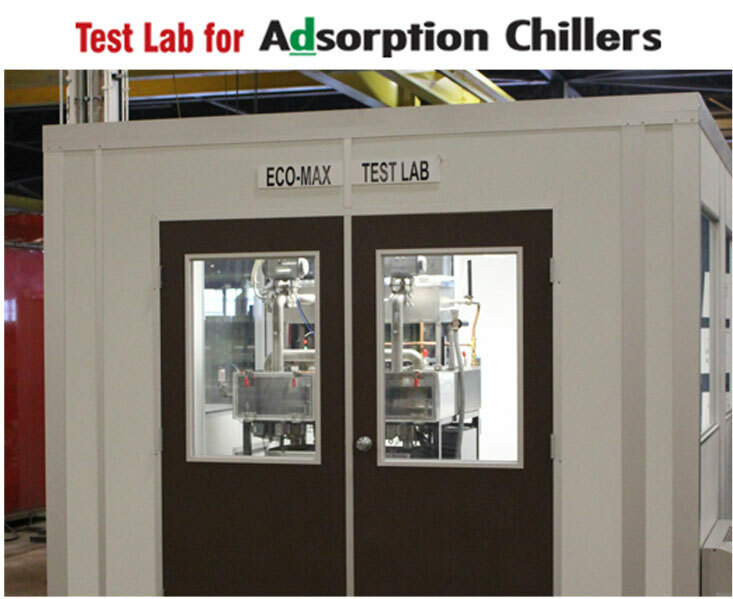 This Test facility is, perhaps, the best in the environment control industry today. 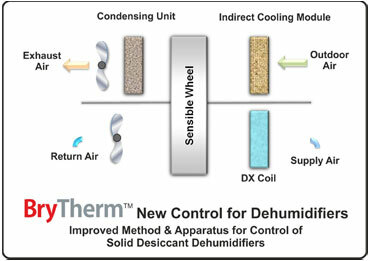 For testing performance of desiccant dehumidifier core "bed" for various airflow condition. 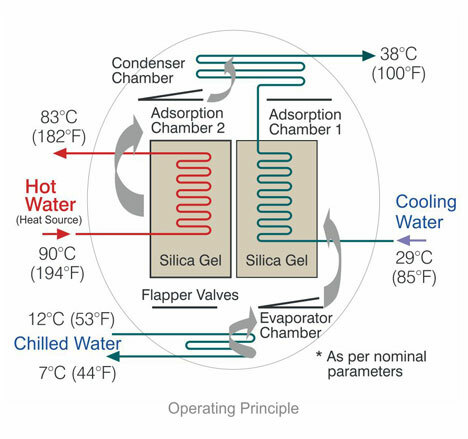 For measuring performance of desiccant dehumidifiers and it's components like heat exchangers, heat pipes as well as the entire system. Upto -65°C dew points applications. Customised design for any size and depth. 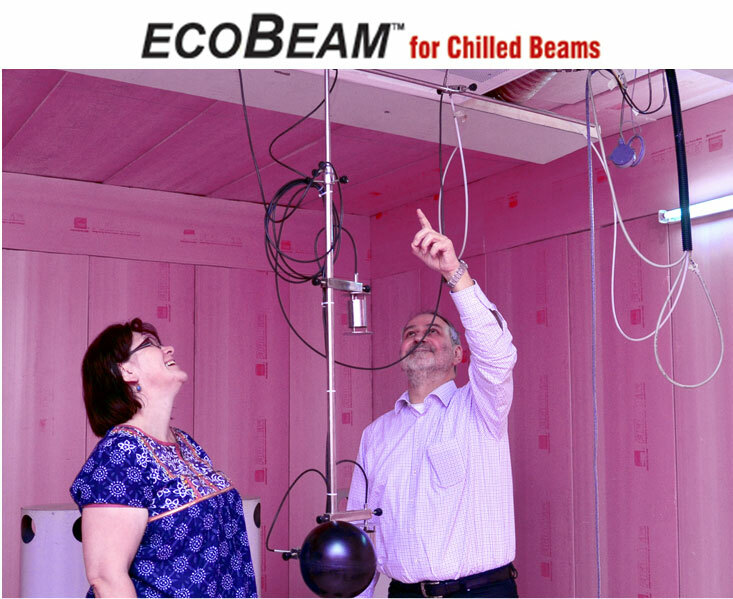 Germany, official Eurovent testing lab for chilled beams.